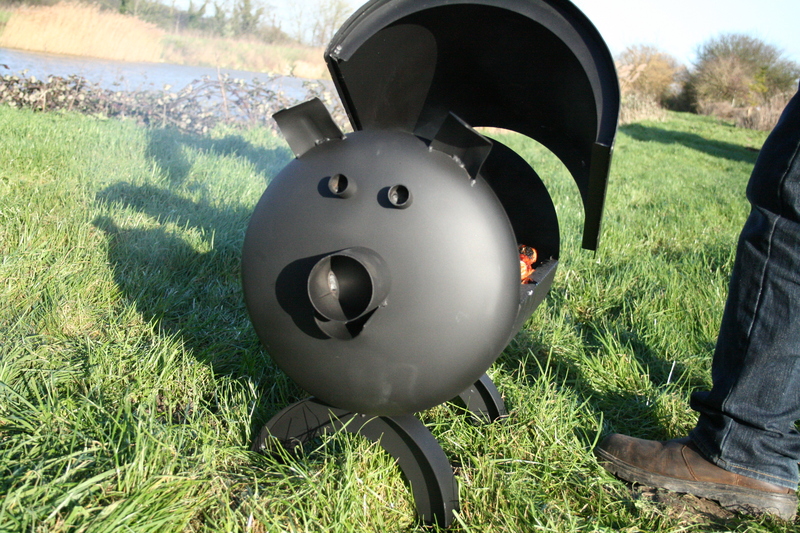 Hand made in the UK, and finished in heat resistant black powder coat, it’s perfect for entertaining friends and family in the garden. 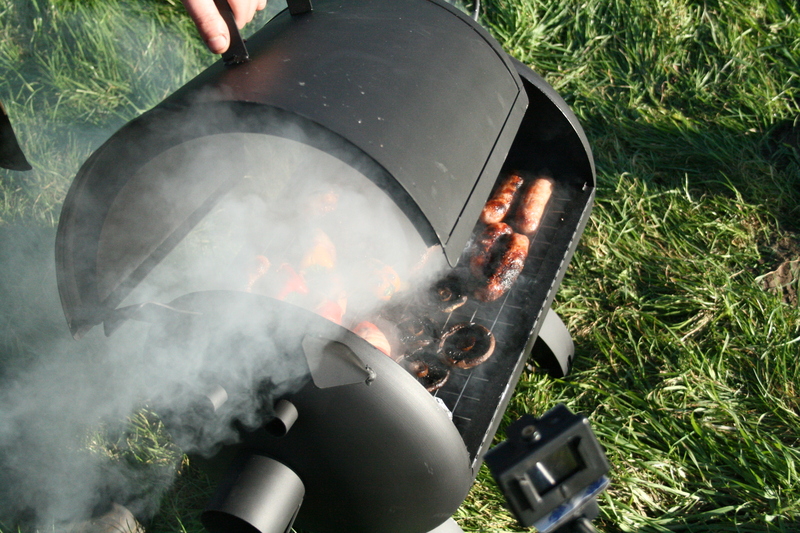 It comes with a 13” x 19” stainless steel grill for ease of cleaning. 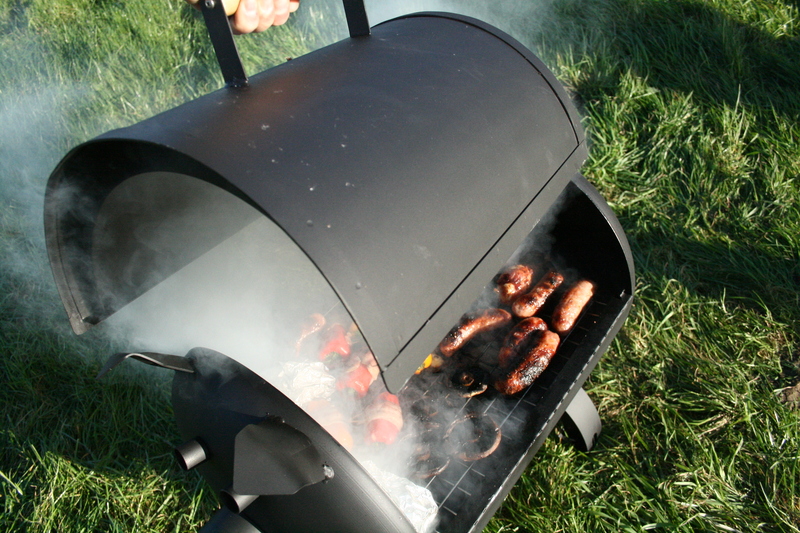 The removable lid works like a kettle bbq, which helps you hold in the heat while it circulates around the barbecue. 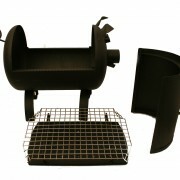 The lid has a wooden handle, making it easy for you to remove to check your food. 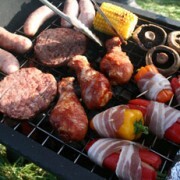 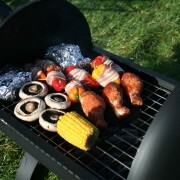 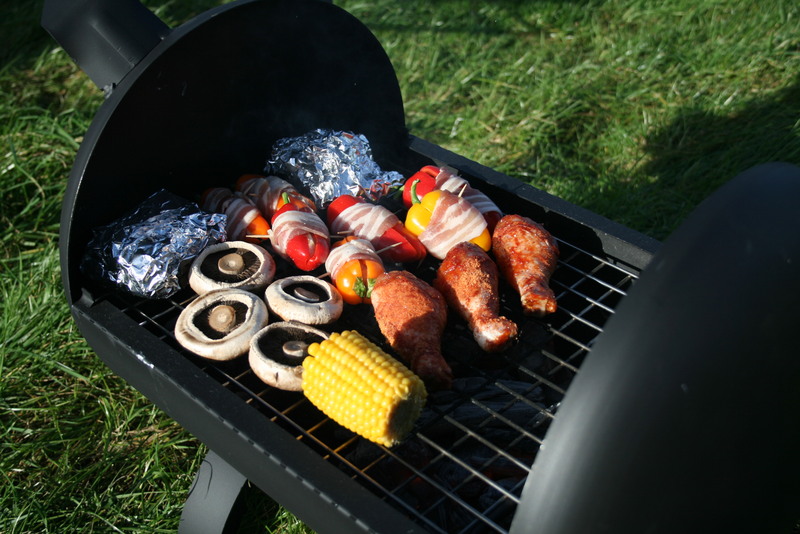 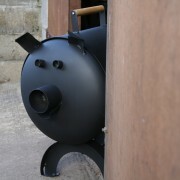 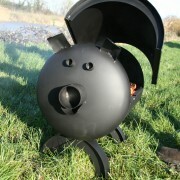 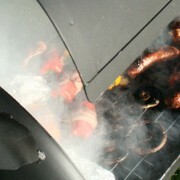 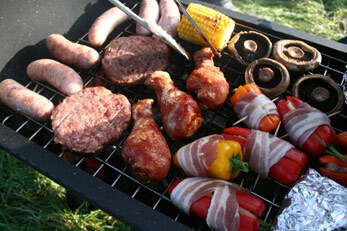 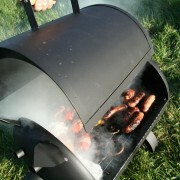 The Pigbecue can be used with the lid on or off, it’s up to you and your cooking style. 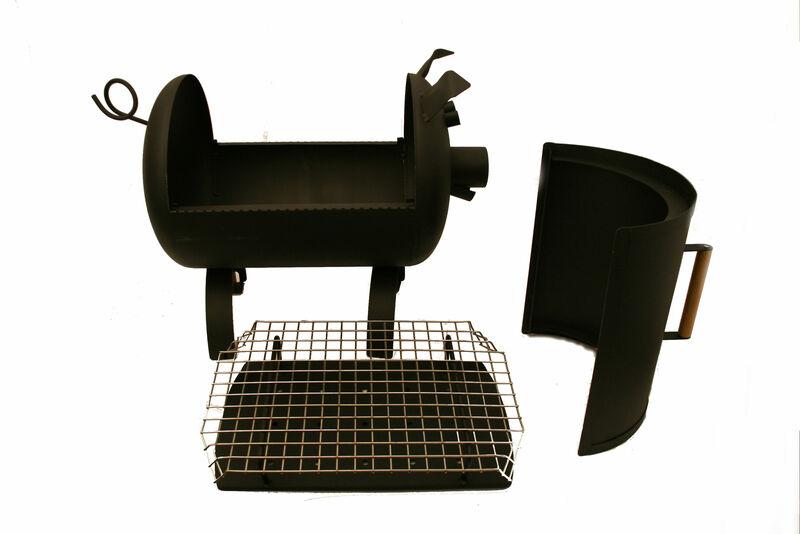 The legs are removable to reduce size for winter storage, or to help packing the boot of your car for camping and beach trips. 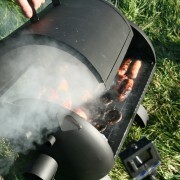 It also has a removable charcoal / ash pan to aid cleaning. 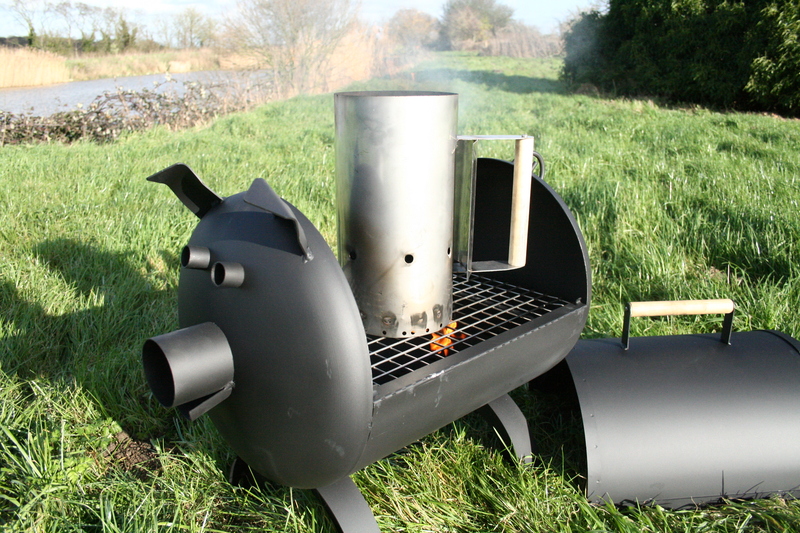 Weather you just grill sausages and burgers, or have your own special recipes for marinated Chicken or slow cooked pulled pork, this Pigbecue is a very functional barbecue indeed! 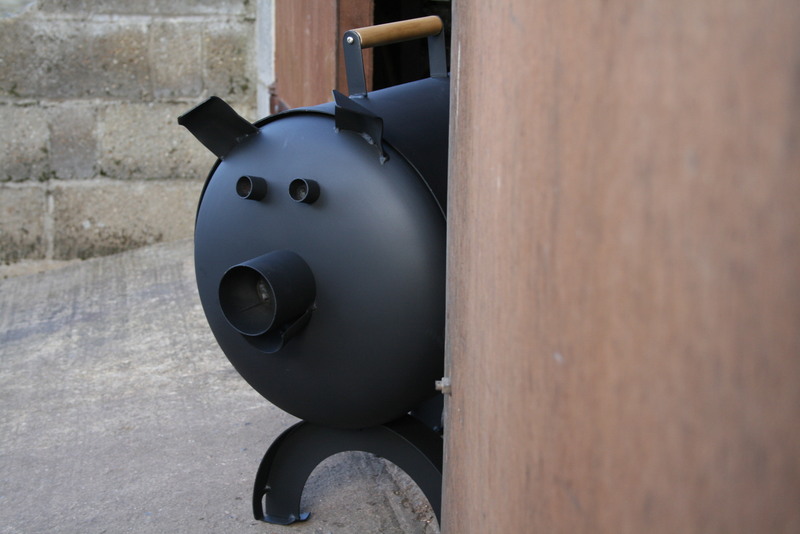 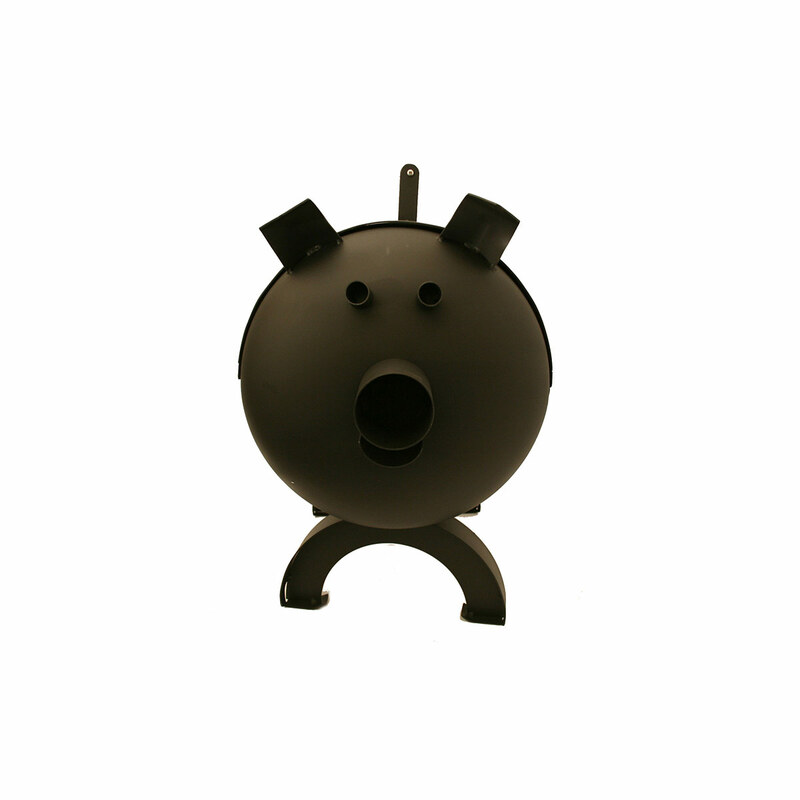 Don’t let the pigs cuteness mislead you into thinking this is only for fun, it has carefully calculated air inlets to ensure good air flow, and the steel is much thicker than grills costing 3 times price! 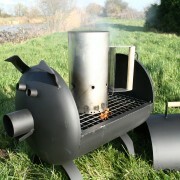 The nose and tail are actually very useful for carrying the pig, and for hanging tools and oven gloves while you have a well-deserved sip of beer.